The face of communication changes? Should we change our revenue strategy? Do we strongly rely on voice to uphold our business model? I think these are popular questions operators and their business partners ask each other. Growth in use of new communication channels like social networking tools, microblogs and VoIP (Skype) is changing the face of the communication. Users are using those services more and more and therefore telecom becomes more data/connectivity centric and less voice centric. During this evolution, Smartphones are playing crucial role. Iphone and some other new mobile devices like iPad move this role one step forward. 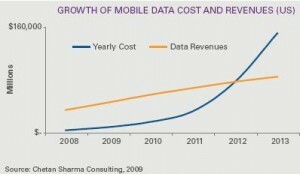 Besides this role, another important point is that smartphones account for 20 per cent of global handset sales. 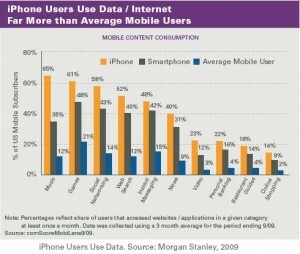 According to a research from Morgan Stanley, smartphone users use more data than average mobile users. Moreover, iPhone users use more and more data than smartphone users. Most of mentioned users (top five percent and AT&T’s top three percent) have a flat-rate data plans. In developing countries, flat-rate data plans are essential to drive customer demand but the question is if this kind of pricing is sustainable in long-run as smartphones, iPhone and Android get bigger part of handset devices market and data usage grows? Can operators’ network infrastructure carry huge data traffic? From AT&T and O2 case -mentioned above-, they could not. They should expand and modernize their network. 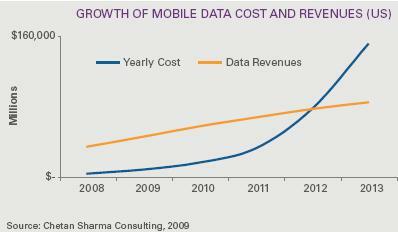 From this point on, another question arises: data traffic revenues can afford those investment? 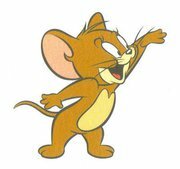 If they believe and find the above forecast plausible,what can they do? (to me, above forecast is not plausible but overstated). Tiered and usage-based service approach is one of the solutions? If so, what else?